Earner of $11,052 and 84.5 AQHA points. 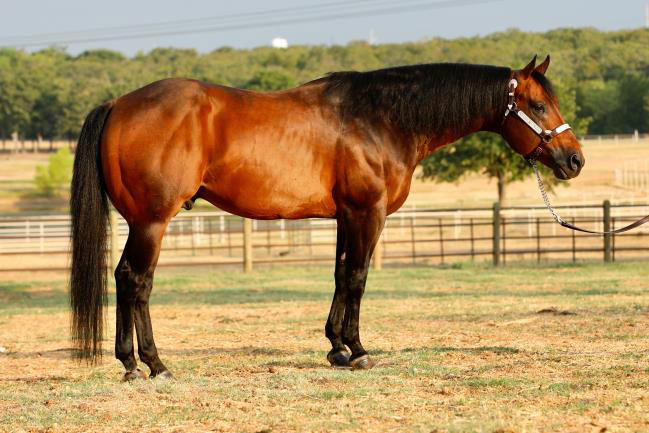 In Western Pleasure All-Time, BATT MAN ranks in the Top 1% of AQHA sires with money-earners. 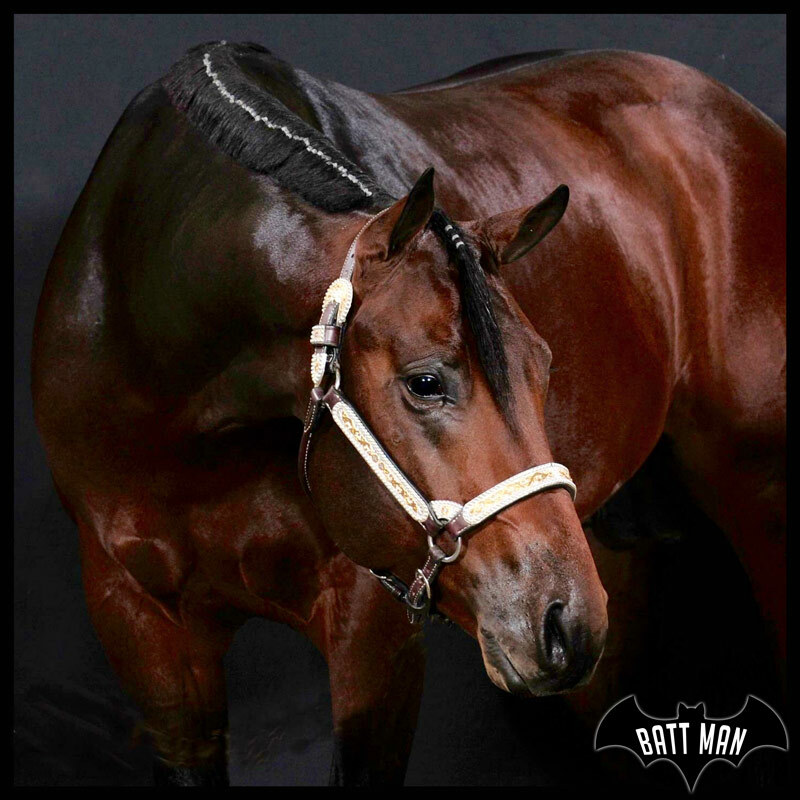 In Western Pleasure Current Year, BATT MAN ranks in the Top 2% of AQHA sires with money-earners. 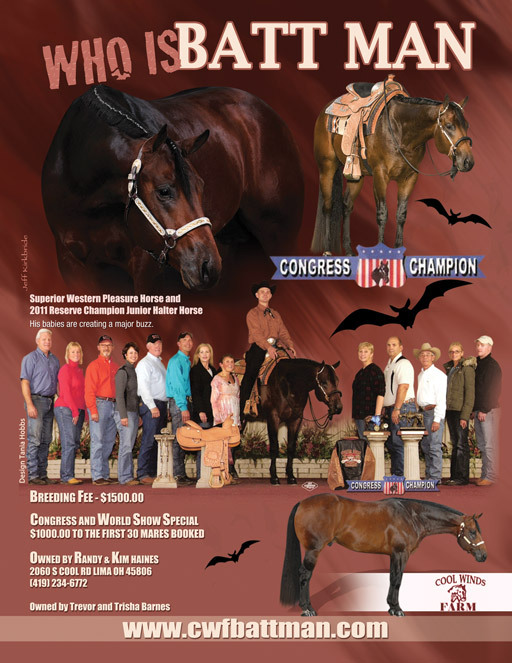 In Western Pleasure Last Year, BATT MAN ranks in the Top 4% of AQHA sires with money-earners. In Western All-Around All-Time, BATT MAN ranks in the Top 1% of AQHA sires with money-earners. In Western All-Around Current Year, , BATT MAN ranks in the Top 1% of AQHA sires with money-earners. 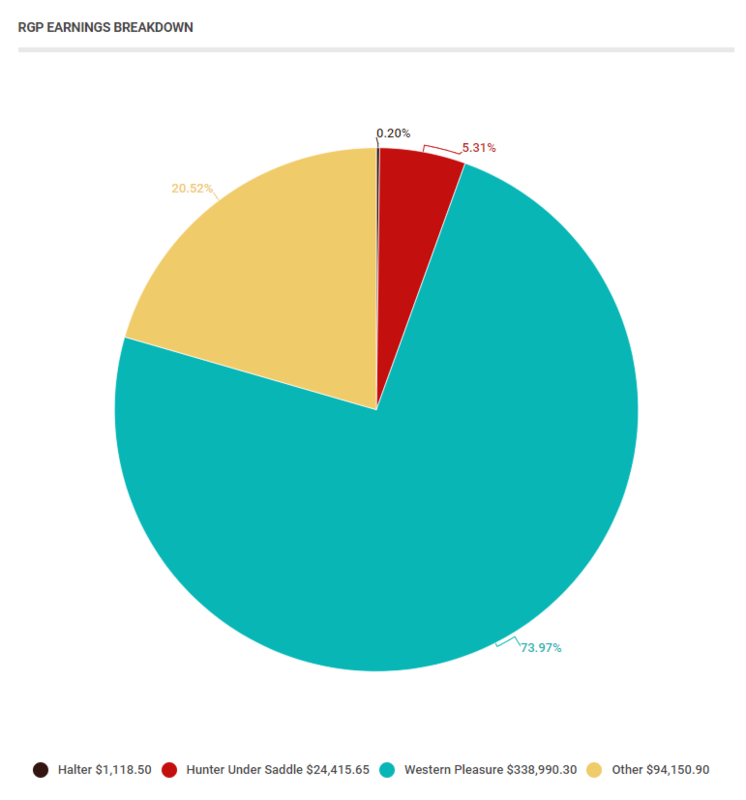 In Western All-Around Last Year, BATT MAN ranks in the Top 2% of AQHA sires with money-earners. Click HERE for more Batt Man News. 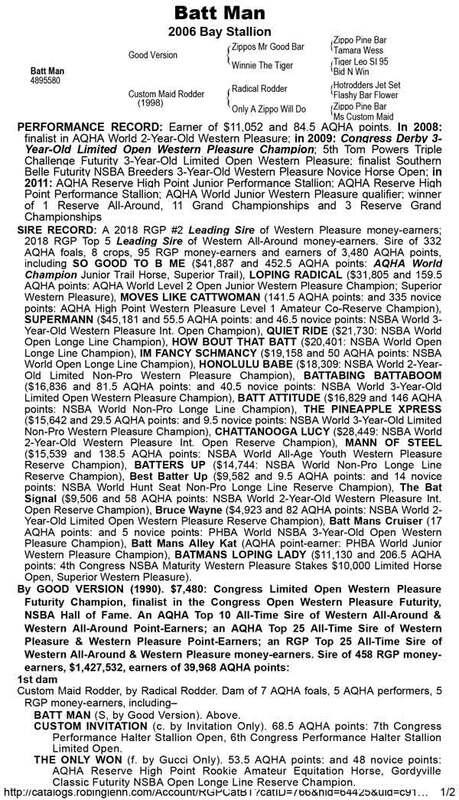 Click each image to view a large version of Extremely Hot Chips’ Stallion Card! Ad Courtesy of In Stride Magazine.